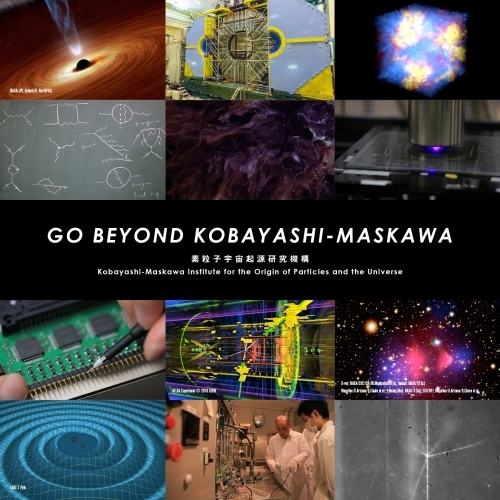 Our introductory movie, "KMI Film" is released and now available on YouTube! The film elegantly illustrate the mission of KMI, the world leading researches that we pursue, the synergy between theories and experiments, and the collaboration beyond the border, all of which are the unique signatures of KMI. Started in March 2018, our members, both theorists and experimentalists, were actively involved in this project in order to create an appealing film. The three-days film shooting took place in May 2018 where we captured a number of beautiful scenes. 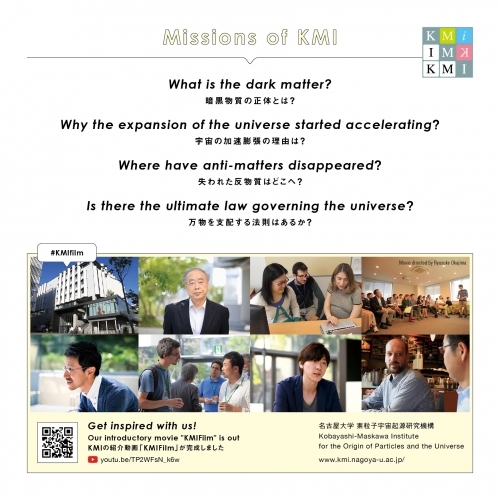 Please check out our "KMI Film" here.